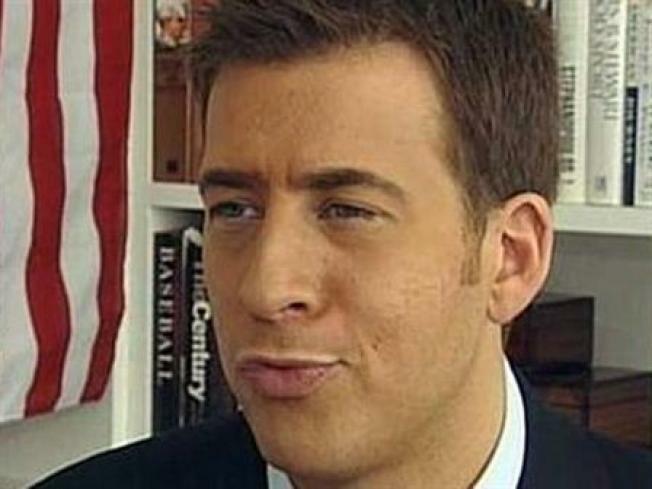 Bright Start was supposed to be Alexi Giannoulias' shining achievement. Instead, the beleaguered fund, which lost more than $150 million through risky Oppenheimer investments, is radiating trouble for the Illinois State Treasurer and his Senate campaign. Giannoulias recently launched a new campaign ad that spins his role with the Bright Start program, claiming "when Wall Street made improper investments, he recovered millions for kids to go to college." That much is true -- he and Illinois Attorney General Lisa Madigan were able to negotiate a settlement for 77 million dollars, or half of what was lost. But Giannoulias' opponents in the Senate race, and at least one parent of two college-bound students, are upset at Giannoulias' management of the funds. "I think it took him three months to realize this money disappeared," says Ellen Mrazek of Oak Park. "He should have taken it out sooner." Opponent David Hoffman has been taking Giannoulias to task for what he says is the ad's misleading message. "To put a thirty second spot in a dishonest and misleading way and to take credit for it being good before it was a problem is the height of dishonesty," Hoffman said. Another Senate challenger, Cheryle Jackson says "this is for families who most need it, the most vulnerable families. They don't have a lot of resources so it means much more when they make these kinds of investments." For his part, Giannoulias says in the last year "we've taken Bright Start from one of the worst to one of the top five investment plans in the country." But Mrazek says getting just half "doesn't seem fair." "In our Bright Start paper work we were told the money would be in a lower risk," she sayd. "So why was it in a higher risk?"